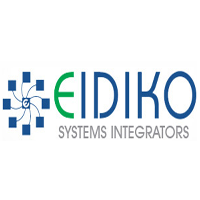 Name: Eidiko Systems Integrators Pvt Ltd.
Venue: New Seminar Hall - Block 1, Geethanjali College Of Engineering and Technology - Cheeryal V, Keesara M, Medcal Dist. Document the work accomplished, development techniques, challenges faced, updates to the designated technology. Persistent enablement program where there is scope for continuous learning and the flexibility to adapt as many technologies as expected by the company. Perform mentor services for fresh recruits and be ready to train team members at any point of time. Any clarification please call Mr Prashanth - Head Placements 9849961322.